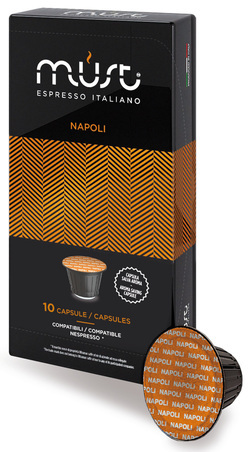 Bay Beans Napoli coffee capsules for Nespresso is our most popular coffee bean and a personal favorite of James'. Excellent value with superb quality. Coffee beans roasted to perfection producing a velvety smooth, full bodied coffee with caramel and fruit flavours. Packaging: Each capsule is individually nitrogen sealed for ultimate freshness -A very high quality Nespresso capsule. Save 30% extra by purchasing 500 capsules or more. Hi James - I ordered the new capsules and have now tried them out. They work great. Coffee is great too. Thanks! I received the Bay Beans coffee capsules for Nespresso Pod yesterday, it works perfect in the Nespresso coffee machine. This is the best coffee I have had from this machine! Thanks for the great service. Submit your own review of Bay Beans coffee capsules for Nespresso. The Nespresso® Trademark belongs to Societe des Produits Nestle S.A.